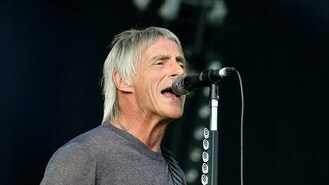 Paul Weller is set to play five forest shows this summer. The Modfather will perform as part of the Forestry Commission's Forest Live concert series, which takes place at woodland locations across the country. "It's a favourite summer jaunt for me so I look forward to performing in a few of the forests that I haven't played in a good while," said the 55-year-old musician. Paul will be joined by some special guests as he kicks off the gigs at Sherwood Pines forest on June 14, before he heads to Bedgebury Pinetum forest, Dalby forest, Cannock Chase forest and Delamere forest. The Sonik Kicks singer joins Boyzone, who will also embark on four forest shows in June and July. The Irish boyband, who are celebrating their BZ20 anniversary, will perform at Sherwood Pines forest, Delamere forest, Thetford forest and Westonbirt Arboretum. Frontman Ronan Keating said: "We're pleased to be part of the Forest Live tour this year for the first time. It's going to be great to perform our hits in such beautiful locations." Tickets for Paul's concerts will be available from 9am on January 17, while tickets for Boyzone are on sale now from the Forestry Commission box office (0300 068 0400) and at www.forestry.gov.uk/music. U2 have had a busy weekend in Hollywood, performing at a fundraising dinner and collecting a Golden Globe for their work on Mandela: Long Walk To Freedom. Justin Timberlake had the best-selling album of 2013, it has been revealed. Jessie J has been forced to quit her role supporting Robin Thicke on his US tour because her management want her to concentrate on brushing up her album. Bruno Mars will have help from the Red Hot Chili Peppers when he performs at the Super Bowl next month. Seventies heartthrob David Cassidy has been arrested in Southern California on suspicion of drunken driving. One Direction's Liam Payne has slammed rumours the boyband are on the rocks. Arctic Monkeys' drummer Matt Helders has said he felt like they had hijacked the charts when the band's debut single I Bet You Look Good On The Dancefloor became a hit. Sam Smith has collected another accolade after triumphing in the BBC's annual poll to find the top music acts for the year ahead.